Did someone accidentally eat your pet? There's a saint for that! 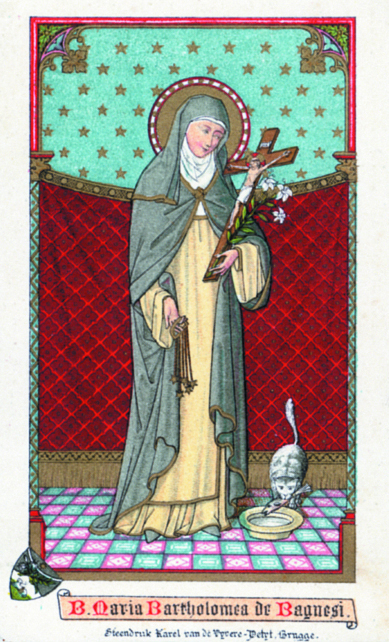 When we think of a patron saint for animals and animal lovers, St. Francis usually comes immediately to mind. He's probably pretty busy. 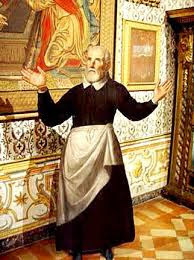 There are several other saints who will pop up when you do a search for patrons for animals and animal keepers, too. I discovered that some of these have their patronage due to events in their lives that simply involved animals (like St. Anthony of Padua preaching to fish). 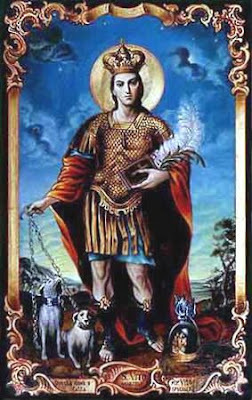 Even more remotely, a saint’s symbolism might include animals for other reasons and they then they became patron of that animal. St. Ambrose of Milan, for instance, was known as “the honey tongued doctor” because of his eloquent preaching, which led to the beehive appearing in his iconography, which led to him being known as a patron of bees, beekeepers, and candle makers. That seems like a stretch to me. 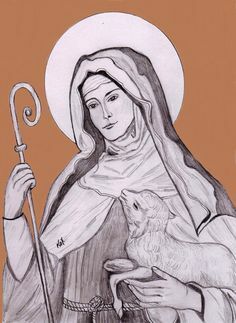 I have put together this list of saints who actually liked, loved and even kept animals as pets. Some are even known for their kindness to wild animals. Many have healed and even restored life to animals that had died! When your pet needs healing or a behavior adjustment – or if you need help convincing someone to let you get a pet, these are saints who will understand when you ask their intercession. Officially a patron saint of domesticated animals, Saint Anthony is often depicted standing next to a pig. The story goes that he cured a pig, which thereafter followed him everywhere. 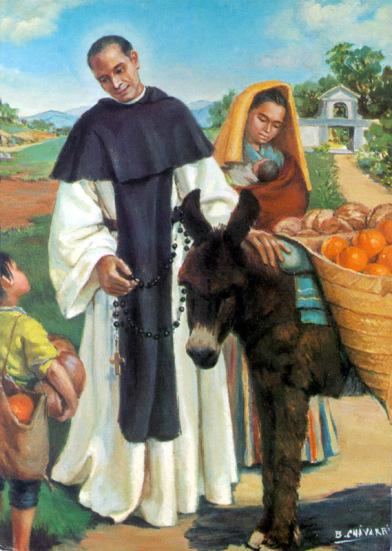 His feast day is often celebrated with a festival and blessing of animals to ensure the good health and fertility of the animals. St. Blaise was known to have cured diseased wild animals that came to him of their own accord for healing, but never disturbed him in prayer. Loved animals, gave sanctuary to a wild boar, turned a fox into a loving pet for the king, was kind to dogs, was followed by a cow. Under her care, her master’s dairy prospered, even though she constantly gave away his produce. She is a patron of cattle and poultry farmers. 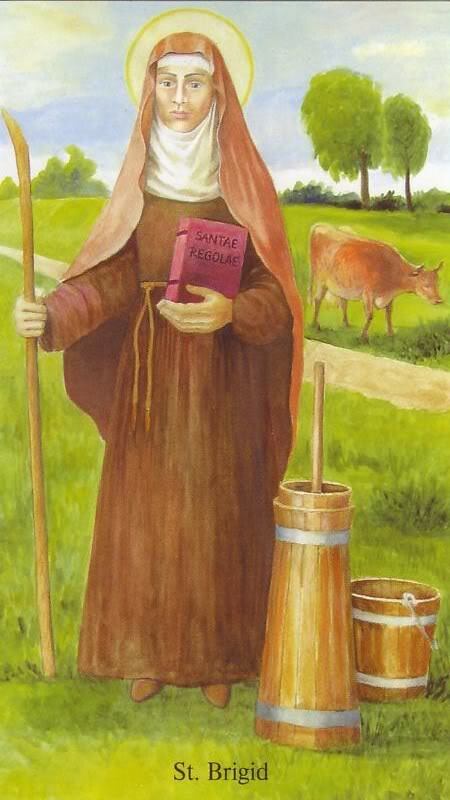 St. Colette loved and cared for all animals. And they loved her, too. She had a pet lamb that followed her everywhere, including to church. Birds flew about her and she is said to have understood their communication. Well, you’ve got to love St. Francis of Paola! He so loved animals that he was known to resurrect at least three. This story is amazing. He had a pet trout, called Antonella, that swam in a pool. It seems that a visiting priest, unaware that the fish was a pet, caught it and took it home to eat. He had begun frying poor Antonella! Fortunately, St. Francis noticed Antonella’s absence and sent a brother to get it back. Alas, Antonella was about to be eaten and the unawares priest, annoyed that his lunch was being reclaimed, threw the cooked fish to the ground, whereupon it broke to pieces. Upon receiving the cooked and broken pieces of his pet, St. Francis put them in the pool and prayed, “Antonella, in the Name of Charity, return to life!” – and it did! The fish began to swim happily about again. This miracle was witnessed by several people. Oddly enough, this was not the only time an animal St. Francis Paola loved was rescued from mistaken diners. He had a pet lamb, Matrinello, that was not only cooked, but consumed by nearby workmen. Upon discovering the tragedy, St. Francis raised up his lamb from the bones and fleece, which had been flung into an oven. So, if someone cooks your canary, St. Francis Paola is who you should call on! St. Isadore was often moved by pity for the suffering of others and his generosity rewarded with miraculous multiplications of food. His care extended even to the birds of the air. On a cold winter day, he came upon a flock of starving wood pigeons on his way to the mill with his master’s grain. He emptied half the sack of grain for the birds, but when he arrived at the mill, the sack was again full and was ground into a double portion of flour. 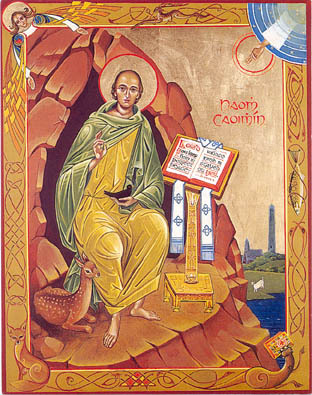 It was reading Mary Fabyan Windeatt’s book about St. John Masias that I learned of his compassion and tenderness toward animals, including healing their injuries and disease. 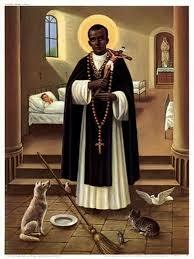 Since then, he has become my go-to saint for intercession regarding animals. Here is another story about his care for creatures. 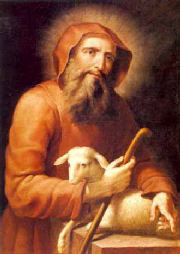 While John was filling a trough with water he had drawn from a deep well, the sheep he was caring for fell into the well! He could not reach the animal to help, so he prayed the Rosary that God might provide a miracle to save it. The water began to rise until John could lift the sheep out and then again receded. 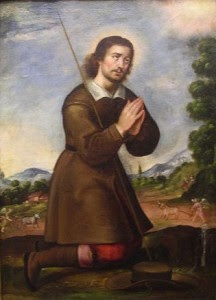 Again John knelt in a prayer of thanksgiving. There is a story of a blackbird building a nest in St. Kevin’s hand. The kind saint held his hand out until the eggs hatched and the fledglings left the nest. As they say, a bird in the hand is better than two in the bush! St. Martin’s compassion toward the poor extended to all animals. He was known to find homes for stray animals, healed ill ones and even preferred to make a deal with the vermin that were gnawing the altar cloths. He asked them to stay out of the sacristy and kitchen and live across the garden where he would feed them daily. Both parties kept their end of the deal. 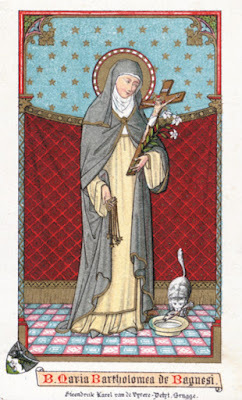 Blessed Mary Bartholomea de Bagnesi could be called an early cat lady. She loved cats and they loved her back. In addition to the people who sought out the Dominican tertiary for her room, cats also visited this holy, bedridden woman. They even guarded her pet songbirds and were known to bring her cheese when she was hungry! St. Philip is said to have had an affection for all creatures and kept a pet cat, Jeoffery, which he carried around Rome with him. When he sent word from out of town, he would ask after his pet. Again we see that the saints’ love for God is manifest in their compassion toward people, made in God’s image, as well as toward animals, God’s creations. 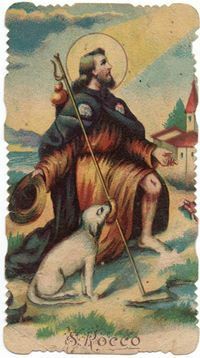 As a pilgrim, St. Roch came across and cared for victims of the plague. He himself contracted the disease and took to a forest to die, but was cared for by a dog that brought him food. He eventually recovered and is now the patron saint for dogs. As icons of this early pope show, he is known to have resurrected a bull and is a patron of domestic animals. 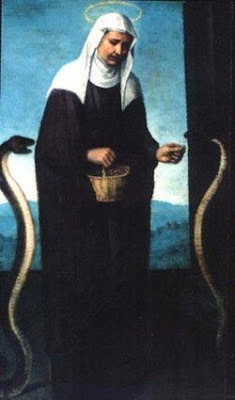 St. Veridiana shared her hermitage cell with two snakes, which she fed from her own meager rations. I'm sure this will endear her so someone! Because the site of his forgotten grave was revealed by a horse, St. Vitus is invoked for protection of horses, stables, horned animals. 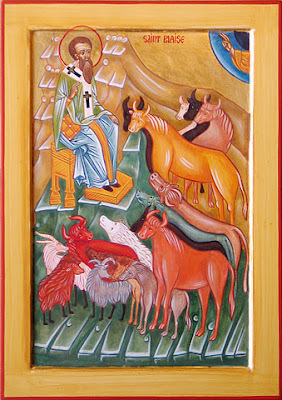 On his feast day, a festival and procession was held at which horses were blessed. 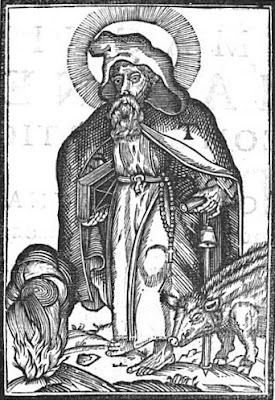 He also happens to be patron of oversleeping, so if you have an animal that gets up late, St. Vitus may be able to help! I can't let this go without giving credit to my friend, Renee, whose brilliant comment became my opening line. Thanks, Renee! I wouldn't seem as funny without you!